Thanks, but am using a special format here... One byte = a set of 9 tiles (a box) and any special functions it may have (4 of them) I'll just whip something up. p.s. First dungeon drawn, and placed a few sprites in to double check sizing and proportion! I'm curious, how do you guys writing games in C keep score? WoW has a score max of 7 digits. which can't really be put nicely into a 16-bit quantity, but works well in a 24 or a 32 bit quantity..am curious if taking this pedestrian route is what's best here, or if somebody knows a more space efficient method? A lot of the time it's sensible to just store a score in decimal, rather than as a binary number that you'd have to convert, i.e. just store the 7 digit score as 7 bytes (each value 0-10) and write a routine that will add points to it (carrying anything that overflows 10 to the next one). Also consider whether the lowest digits of the score are ever used. From a few google searches, it looks like the score increments by 100's. If that's the case, you don't need to store those last two digits. Having optimized cellular automata dealing with edges of squares, storing ULDR for every square is redundant; you only need to store DR, really. But your choice will leave you with much easier collision checks, and possibility of one-way passthrough walls. I did consider storing only half of the data, but I liked the flexibility of storing everything. 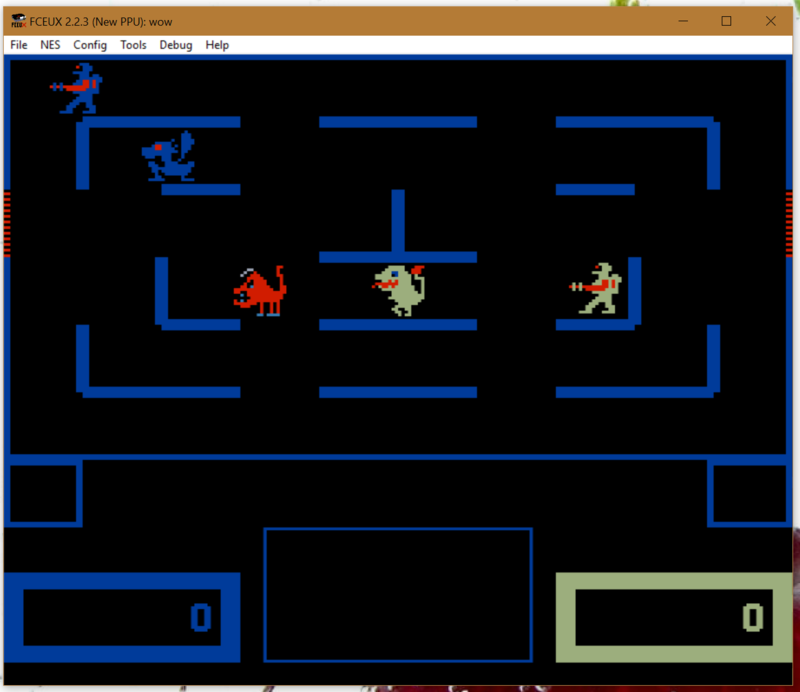 Right now, am doing little experiments on sprite updating and vram updating (score etc). Things will slow down for a bit while I get the hang of the hardware. Can somebody with an NTSC NES and a CRT monitor/tv please send pics of the three screens in this attached test ROM? am curious. To be honest, it seems unnecessary to apologize for "unclean" code in a game. A source code library should have clean code because the product is the code, and the users/customers are programmers. With a game, though, the product is the game itself, and the customer is only a player. The cleanliness of the code is an internal implementation detail. A clean code base is nice for the person who works with it, but it's normal to make at least a little mess in the process of developing and trying things. Cleanup takes time (and money), so it's pretty reasonable to not do it if the game is ready to ship. Anyhow, I'm not saying you shouldn't strive to write clean code. It's well worth developing good code practices. Just I don't think there's any reason to feel shame for making a compromise in that respect. 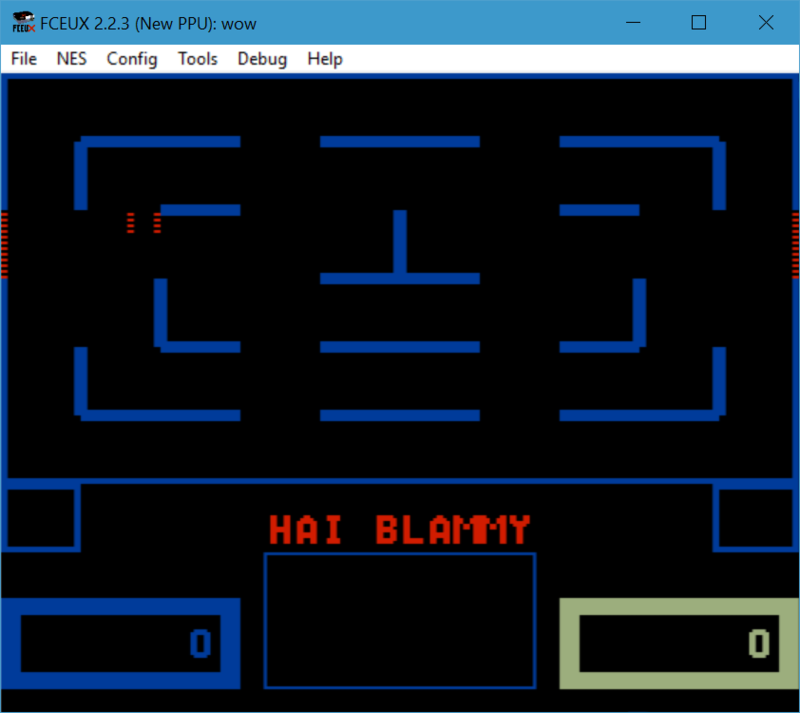 Several emulators have good NTSC emulation (often derived from Blargg's implementation), usually it's called a "filter". In FCEUX you can find an NTSC filter option under Config > Video, for example, but most emulators seem to have a similar option somewhere. That emulation will show you pretty well what the NTSC signal does to fuzz up the picture. The ways in which a CRT itself are different can't really be expressed well by taking a picture of a television. Mainly this has effects of overall brightness/gamma and saturation, and the "scanline" thing, but it doesn't really do much to degrade the image in ways that emulation of the NTSC signal alone won't. (a) you missed my point on the disclaimer, but that's ok.
(b) I'm using blargg's filters in FCEUX. I'm just curious as to how the result frames on a tube. Ah, well sorry for misinterpreting, in light of how I must now reinterpret it I hope I didn't come across as patronizing. It's possible that ~68 bytes / 10 regions in the PPU update buffer might be too much to fit within the available vblank time with the library's NMI update handler. Maybe put a breakpoint on a write of $78 to $2007 (to catch those last 3 bytes going through) and check if it's happening within vblank, or too late. In FCEUX it'll say scanline 0 when it's too late (vblank runs in scanlines 241-260). If the update write happens outside of vblank it will corrupt some stray part of the screen. Aside from that, I don't see any obvious typos but I find the MSB(NTADR_A(1,19))|NT_UPD_HORZ,LSB(NTADR_A(1,19)), blocks really hard to visually read, so I could easily mistake those for correct. If you made two macros something like UPDATE_HORZ(1,19) and UPDATE_VERT(1,7) instead I wouldn't be as suspicious about misreading those? is this too much to handle in neslib's vram update list code all at once? Can I split this up?